Kate collaborates with leadership at Mainsail’s portfolio companies on strategic projects to accelerate growth. Her work spans functional areas, with particular focus on product strategy and management, data-driven market strategy, and sales efficiency optimization. 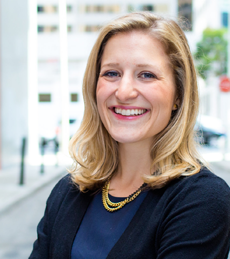 Kate joined Mainsail after graduating from the Stanford Graduate School of Business. In between her two years of business school, Kate was a Senior Product Manager in Amazon’s Identity Services Group, working on opportunity sizing and feature prioritization. 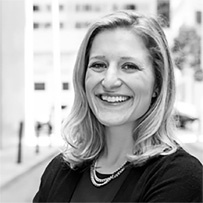 Previously, Kate was an Associate Consultant at Bain & Company in Chicago. She worked on management strategy cases across industries, and in Bain’s Private Equity Group evaluating prospective investment targets and their markets. Kate received a dual degree in Biomedical Engineering and Ethics, Politics and Economics from Yale University and an M.B.A. from the Stanford Graduate School of Business. 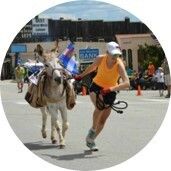 Kate finds adventure in the eccentric, and her time outside work can include anything from pack burro racing to letterpress printing. She loves to travel to new places (55 countries and counting), and her favorites are almost always those with mountains.